French vegetable recipes feature ingredients that you are mostly already familiar with. But don't hesitate to try a new vegetable today - you'll find helpful explanations for cleaning and storing them here on Easy French Food. And while you're here, why not learn a little French food vocabulary and a few motivating nutritional facts? Called les choux des bruxelles in France, brussel sprouts are high in vitamin A and C, as well as being a good source of iron. Here are two easy and delicious ways to fix brussel sprouts: brussel sprouts recipes. Brussel Sprouts and Chestnuts - Choux de bruxelles aux marrons includes bacon for a hearty vegetable side dish. Brussel Sprouts in Vinaigrette - Choux de bruxelles tièdes en vinaigrette moutardée for those who like a little bite with their veggies. Before trying one of these easy vegetable recipes, you might like to learn a little about cabbage types. Called le chou in France, cabbage is a nutritional star with lots of fiber, vitamins and minerals. Cabbage Casserole - Perfect for a meatless meal, this is a hearty one dish supper. Red Cabbage Recipe - This is a delicious slow cooked cabbage recipe from the Alsace Lorraine region of France. Try this super simple Glazed Carrots Recipe, called carottes Vichy in French. It makes a great side dish for all sorts of meats and seafood. Continuing with the chou theme, this is called chou-fleur in French. Cauliflower au Gratin - Who doesn't like their vegetables done au gratin? An easy French way to fix many foods and cauliflower will get all the love it deserves. Cauliflower Casserole - Pureed cauliflower is mixed with mascarpone cheese and garlic for a delicious and satisfying casserole. Steamed Cauliflower - Cauliflower florets topped with an easy vinaigrette and chopped eggs. You may not yet be familiar with this tasty vegetable called céleri-rave in French. It is the root portion from which celery stalks grow. Celery Root Puree - This is one of those easy vegetable recipes you will want to make again and again once you discover it. Like mashed potatoes, but only better! Here's a great fried eggplant recipe that will get your whole family eating this late summer vegetable. This eggplant caviar recipe can be served as an appetizer or as an accompaniment to other foods. For a main dish or side plate, try a stuffed eggplant recipe. Ever since I discovered fennel while living here in France, it has been one of my favorite vegetables. Don't be scared off by the idea that fennel, or fenouil as it's called here, will have a strong licorice taste. It is actually quite mild, especially when cooked. Fennel Salad Recipe - A combination of raw fennel, oranges, mustard and red onions. Braised Fennel Recipe - Fennel cooked slowly in white wine is the perfect side dish to accompany chicken and other white meats. This yummy recipe for French green beans couldn't be easier. Just toss some chopped shallots, butter, and frozen green beans in a sturdy skillet, put on low heat, and forget about it. A tasty side of vegetables is ready in 30 minutes. Although it originated in America, this vegetable, called a Topinambour by the French, has enjoyed great popularity in Europe. Try this super simple Jerusalem artichoke recipe. Leeks are very popular in French cooking. Be sure to clean them carefully before using them in these , because even if you can't see it they can hide sand and dirt. Leek Recipe from Picardy - Flamiche aux Poireaux is a wonderfully rich way to enjoy leeks. Leek Tart Recipe - This easy vegetable recipe is a taste bud awakening combination of leeks, green tapenade, and goat cheese. This recipe for stuffed mushrooms is very adaptable to different sorts of mushrooms and different sorts of ingredients for the filling. Great side dish or serve as an appetizer. Les oignons in French, these are the start to so many tasty, healthy recipes. Learn about the different types of onions and then try them in a French recipe. Onion Pie Recipe - Onions are slow cooked until they caramelize and then baked with eggs in a puff pastry tart shell. All made easy for you. Garlic Mashed Potato Recipe - Always a hit. Cheesy Mashed Potatoes - This is known as aligot in France and is a speciality from the Auvergne region. Potato Cheese Casserole - tartiflette is a hearty dish of potatoes, bacon and reblochon cheese. Scalloped Potatoes Recipe - A classic easy vegetable recipe. Try this easy pumpkin puree recipe and you may never buy another can of pumpkin. The basic technique can be used with any winter squash. Called les panais in French, these vegetables are often overlooked. 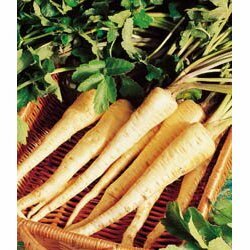 Try this delicious sauteed parsnip recipe for a change from the usual potatoes. Don't neglect these subtle vegetables often forgotten these days. They make a great accompaniment to more exciting dishes. Glazed Turnip Recipe - Simple and simply perfect with duck confit or other rich meats. If you don't know what else to cook you can always depend on the zucchini for an easy vegetable recipe. Baked Zucchini Recipe - Not only is this dead easy, you get a video to help you along. Ratatouille Recipe - The classic French vegetable recipe is fun to make and it showcases all the great flavors of a summer vegetable garden. Stuffed Zucchini Recipe - Round zucchinis stuffed with a delicious ground beef and fresh herb filling. Zucchini Fritters Recipe - Make this as an appetizer or serve it as a vegetarian main course. Zucchini Pie Recipe - An upside-down zucchini tart with goat cheese. Return to Easy French Recipes.